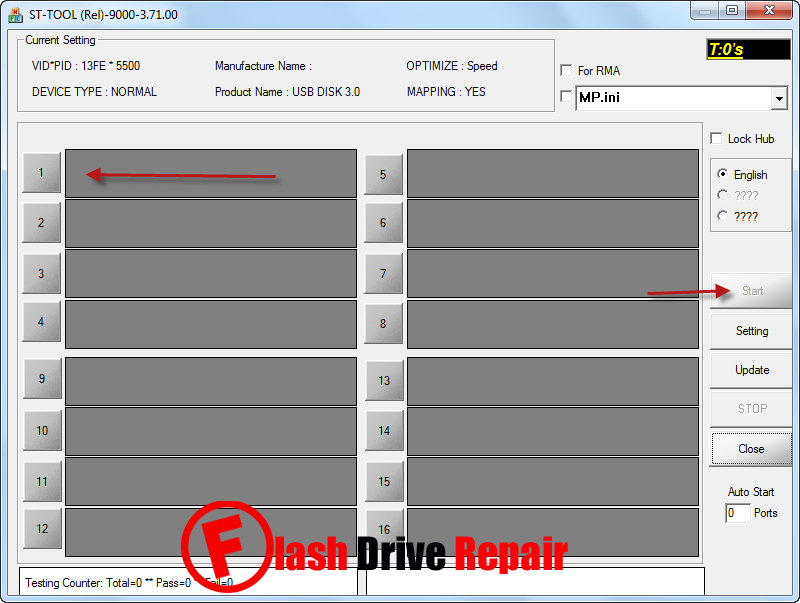 Download Phison ST-Tool Rel 9000 with all software versions and repair corrupted Phison Ps2251-07 and Phison Ps2251-67 chip controllers .Learn how to format corrupted Phison flash drives with ST-Tool v3.71 and other versions . Phison ST-Tool format software has been designed to reformat corrupted Phison flash controller with the following chip part number "Phison Ps2251-07 and Phison Ps2251-67 chip controllers ".Phison ST-Tool can fix Phison Format errors such as unrecognized flash disk , write protection error ,unformatted flash drives and other format problem issues . Phison ST format tool support repairing Phison chip controllers with chip part number ps2251-07 and ps2251-67 so please don't use it with another chip controller .Before you use this tool , you must determine your usb flash disk chip vendor .You can use Chip genius software or USBDeview V2.30 utility . How to format Phison PS2251-07 ,PS2251-67 ? Download Phison ST-Tool Rel 9000 all versions.rar from download links below . Insert corrupted phison flash disk to your computer . Extract Phison ST-Tool Rel 9000 all versions.rar and open MPALL_F1_9000_v371_00.exe or any version. 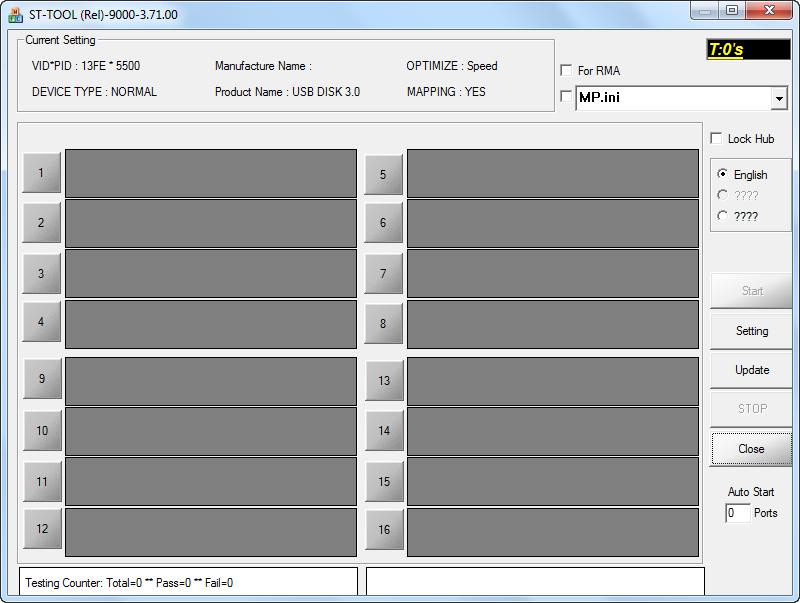 If your flash drive controller is supported ,you will see flash info appears on the software interface . Click Start to begin update Phison PS2251-07 or Phison PS2251-67 flash firmware . Partition on this drive is locked - read only. I tried software 3.71 but without success. I see in program error in cell F3 - issue 2. Controler model is Phison ps2251-07-v u01412c sajjh1cc. Can you help me ? I have the following usb stick. I tried Phison ST-TOOL v3.71 and it did not work. I modified the *ini file through settings and corrected the Vendor and Product ID rather than auto detect since it was detecting it wrongly. But when I tried to load teh *.ini file it gave "parameter loading Error"
I would be grateful if you can help. Hi this is what I have and I tried everything to fix this drive it just about new I had made it bootable then formated it now it say its write protected after adding a file to failed. Please tell what I need to fix it and what setting or just the ini file for it. unable to flash that model, please help.